Part of being a responsible car owner is changing the oil on a regular basis. While many believe that you have to change the oil every 3,000 miles, this is generally not the case. Instead, try to have the oil changed every 5,000 to 7,500 miles or as specified by your owners manual. It is perfectly acceptable to leave black or otherwise dark motor oil in your vehicle. For the most part, it means that the oil is collecting dirt and other debris so that it can't enter the engine itself. 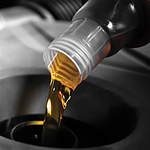 As long as you follow a regular oil change schedule, its color typically doesn't matter. If you are in need of an oil change, bring your vehicle to Lion Country Kia today to keep your car in good working order. We can use either synthetic or conventional oils to fit the needs of all our customers.